After initially dropping their jaws when the dancers’ went down to their drawers, the crowd howled hysterically. The male dancers popped on clown noses to camp up their exit further and the women played along, each placing a foot on her partner’s chest as if in conquest. 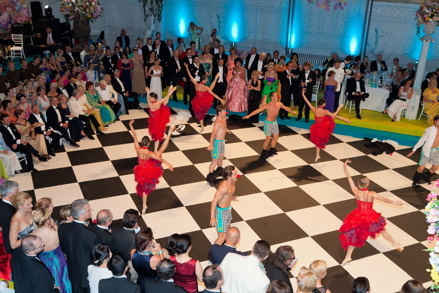 With the tone for the evening set, the ball went on to be a lively event filled with graceful performances and fantastic revelry that lasted until 4 a.m. The Fête Impériale also revealed once again the two qualities that make the Austrian capital so wonderful these days: An extraordinarily high level of cultural sophistication and a refreshingly easygoing demeanour. Mix the two attributes together and, as a visitor, you enjoy a decadent experience filled with some of the finest art and classical entertainment in the world without the haughty attitude you often find when people congregate in tuxes and ballgowns. 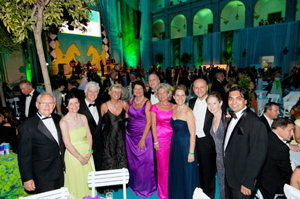 Held at the Spanish Riding School in the former Hapsburg Palace, the second annual Fête Impériale benefits the school’s most famous citizens, the Lipizzaner Stallions, known for their highly artistic dressage movements. To maintain the population of the horses, whose skin famously turns from black to white as they age, the school runs a breeding program that attendees told me costs $10,000 a day to operate during breeding sessions. 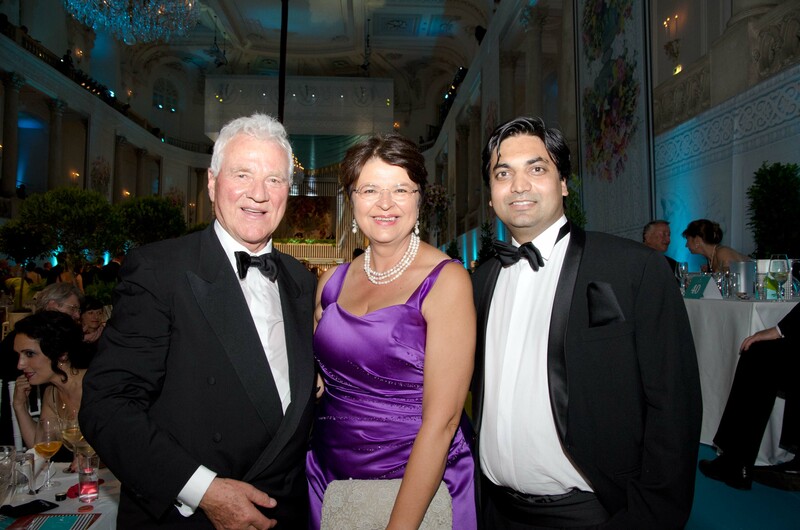 Elisabeth Gürtler, the managing director of the luxurious Sacher Hotel and head of the Spanish Riding School, introduced the Fête Impériale last year and it has quickly become a premier event on Vienna’s social calendar. 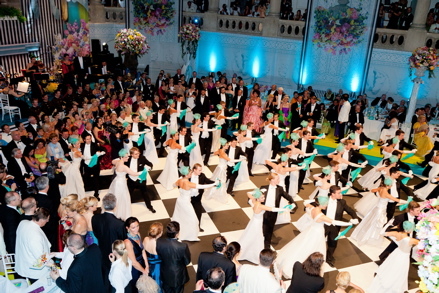 Austrians, from many walks of life, will also wow you with their skills on the dance floor. And not just when they waltz. Salsa, jitterbug, swing. They can do it all. “Austria, I think, has the best of northern Europe in the work ethic and the way how things operate efficiently and then you have that savoir vivre of southern Europe. People here really know how to enjoy life, and that’s what makes it special,” said Norbert Kettner, CEO of the Vienna Tourist Board. Tickets to the event were 120 euros and up. Being the Imperial Ball, the evening celebrated by honouring an imperial leader, Thailand’s king, Bhumibol Adulyadej, who turns 84 this year. The Thai theme included regally dressed soldiers from that Asian nation and 5,000 orchids flown in from Bangkok. Opera soprano Alexandra Reinprecht entered the hall of the Spanish Riding School standing on a chariot drawn by one of the stallions. Reinprecht mesmerized with her voice, but her heart must have risen a few times when the horse appeared to attempt to dance while she stood on the carriage facing the crowd during her performance. The ball also featured a jazz band playing their interpretation of pop songs and a quadrille, a massive dance that’s part square dance, part Simon Says and all fun. It’s not every day you get invited to a ball of this stature in one of the great cities in the world. When you do, you drop everything and go. No matter how last minute (48 hours in this case) the notice or on what continent the event. 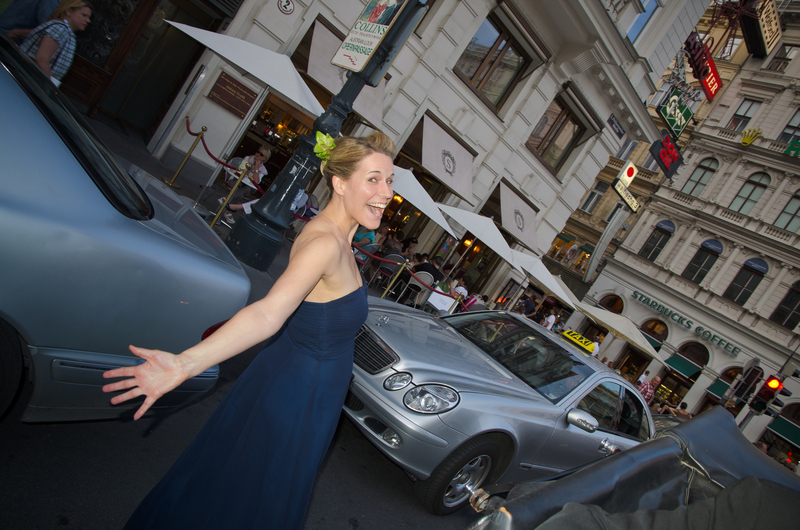 So, when Astrid Pockfuss of the Vienna Tourist Board extended the invite, I couldn’t say no. The evening included dinner at the Sacher Hotel’s Rote Bar (highlighted by a delicious braised roast beef), a horse ride to the event, a blue-carpet entrance, a champagne cocktail hour and loads of dancing. Then the reputed hangover killer: sausages around 2 a.m. The experience surpassed expectations, which only underscores my belief that Vienna is the European city that should receive your vacation dollars in the immediate future. For Canadians and Americans, these are among its plusses: it’s not expensive (not cheap either; things are similarly priced as in Toronto but far less pricey than in some other major European cities); there isn’t a language issue (most everyone speaks English well); the food is exceptional and fresh; it’s clean and safe and easy to walk around (I walked alone on Saturday night from 2 to 3:30 a.m., trying to get a feel for the city’s nightlife on a hot summer night when it doesn’t have a ball in town, and saw nothing more menacing than a few guys stumbling back from a bar); and the city isn’t as well travelled by North Americans as Paris, London, Amsterdam, Rome, Barcelona and Prague. You relax here, unlike in some of those other cities where vacation can seem like work as you try to go from sight to sight and deal with traffic issues and mobs of tourists. I’m gushing, I know; but honestly, there isn’t a more comfortable big city in Europe. I was smiling from the minute I walked out of the Sacher Hotel to revisit this capital that won me over so easily back in May. Vienna was even better the second time around. What’s more, the Viennese have an eye for Canadians. If you do go or if you’ve been recently, let me know what you think about Vienna, no matter if you agree or disagree with my reviews of the place.